Well folks, it’s getting to that time of year. Football time. 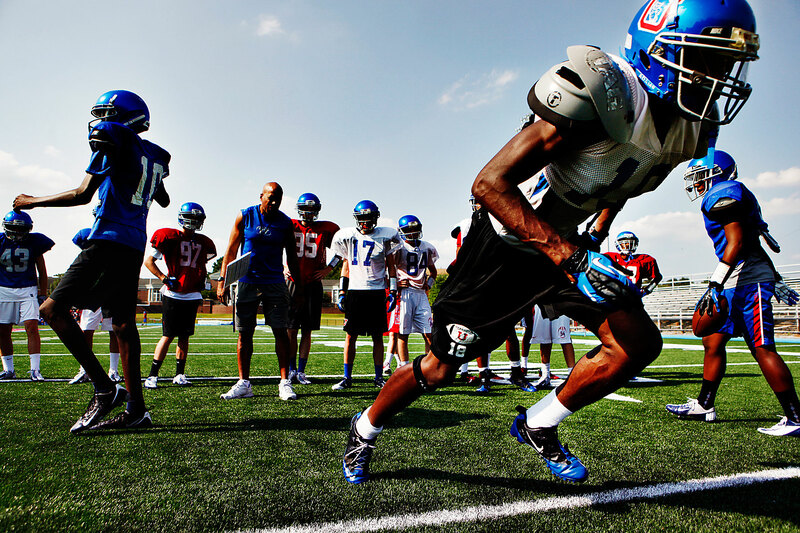 August 15, 2012 – (center) Memphis University School senior, Will Whitley, runs pat n’ go passing drills while warming up for a scrimmage game.